Comprising; built in robes, spacious lounge room with heating, open kitchen with gas facilities, separate bathroom, laundry and toilet, balcony and courtyard. Close to all amenities. Also close to Essendon train station & bus stops you don't need a car!!!!!! This neat and clean apartment comprising of one large bedroom with a built in robe, spacious lounge room with access to balcony to soak in the city views, small kitchen area with a gas stove, bathroom / laundry, under cover carspace. 2 bedroom weather board in top location comprising large open lounge room, modern kitchen (gas appliance) & meals, split systems, wardrobes, bathroom & laundry combined, lock up garage, and large backyard. A must See. Upstairs unit with a large courtyard area. Comprising of 3 bedrooms (two with build in robes). Bright kitchen with lots of cupboards, electric stove and tiled meals area. Heating and cooling. When You Need A Bit More Room!! Spacious 3 bedroom home comprising BIR?s, gas ducted heating, spacious kitchen and meals, large ?L? shaped lounge room, separate bathroom, laundry and toilet, rumpus room with polished floor boards, single lock up garage plus much more. This property is a must see. Get your foot in the door with this fantastic opportunity to lease in a prime location amongst the Moonee Ponds retail precinct. This well located retail premises offers approx 100sqm of space. The opportunity to rent this upper level office space will offer you a prudent investment for the growth of your business. Call now to arrange an inspection. The existing home offers a spacious floor plan with three bedrooms, large lounge & dining rooms, well equipped timber kitchen with meals area and central bathroom. Step outside to discover an enormous backyard with wide driveway through to double garage, a huge tradesman’s workshop/storage with loft, highlighting the property's impressive size. 9337 5066. Immaculate top level 2 bedroom apartment in top location. Balcony views of Mt Alexander Road/ Keilor Road. Public transport, shops and cafe's at your door step. Comprising BIR's seperate modern bathroom and toilet, floorboards throughout, open living room with balcony and kitchen with gas appliances. Complete with split system heating and cooling & 1 carspace. Comprising; walk in robe in both bedrooms, semi ensuite, study/re-treat with balcony, polished floorboards, two toilets, lounge room with heating, evaporative cooling, separate laundry, meals, kitchen with new gas appliances, alarm system and lock-up garage. Freshly painted brick veneer home in sought after area. The convenience of public transport and Milleara Mall at your door step. Comprising 3 bedrooms with built in robes, polished floor boards, seperate formal dining room, spacious lounge room, separate bathroom, laundry and toilet. Complete with gas ducted heating and cooling in lounge room and large garden/ storage shed. Currently under renovation, photos to come once complete. David gave us a 'Master Class' in 'How to be a Real Estate Professional' along with 'How to make a room light up with Energy' not to mention 'Get the job Done.' Communicating without fault, creating rep ore from the word go, David connected quickly with our circumstance, he clearly defined our needs, then efficiently procured the preferred outcome within 3 days. Impeccable, straight down to business all while easily creating a lasting impression...SOLD on all accounts. David has an intimate understanding of the local area, his knowledge and wisdom of life, culture and property in the area is without a doubt Number 1. Without a doubt, the obvious choice for real estate here in Avondale Heights. Awesome job, thanks mate, nice one! David is an outstanding agent. He goes above and beyond. David is everything you could possibly want in an agent, honest and reliable whilst keeping it real. A genuine good guy in the game. David conducts himself like a true professional, he is prepared to do whatever it takes to assist you to get a great result, he is extremely trustworthy and friendly, he will guide you through the sale step by step, in addition the team at Moonee Valley Realestate are excellent at what they do. David was perfect from the beginning, easy to talk to, knew his market and was eager to help in anyway possible. The perfect agent from beginning to end and a real pleasure to have dealt with. Will certainly come back to David in the future and would gladly recommend him to any one looking for an awesome agent to deal with. Thank you very much David. We sold our home with David this year. He was extremely professional and got our home sold in 4 weeks. He kept us informed throughout the whole process. David gave us some suggestions for advertising and even having our open home. We are very grateful to David and would highly recommend him. Our neighbor is now selling with him. Thanks David. I am active developer and trader of property in the Avondale Heights area. I have employed David's services many times through the years. I have also dealt with all the local agents at various points through different property cycles. 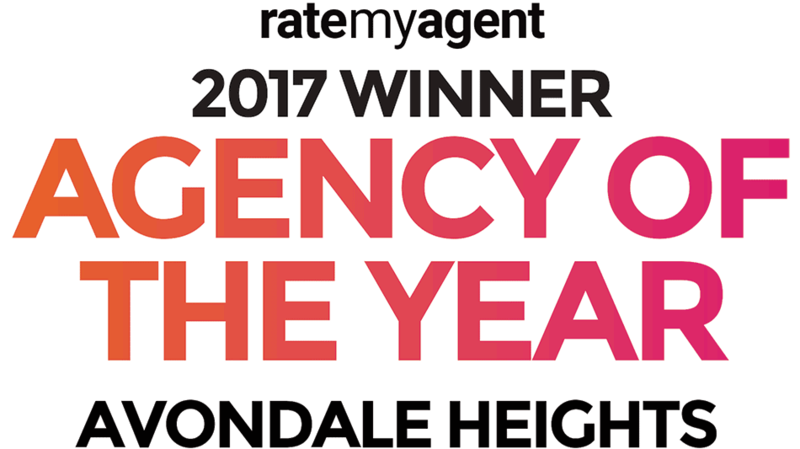 David has been consistently focused on Avondale Heights over the last decade and knows the area better than any others. He is able to provide rapid insights which are relevant to any sales campaign. He has achieved top prices every time we have gone to market, whilst lesser agents have tried to use basic agents tricks to bully us into under-selling our property. 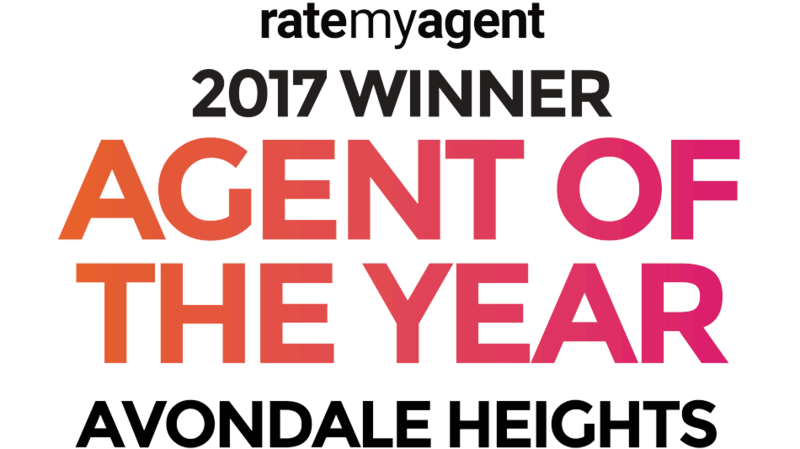 I would use David in Avondale Heights every time because his agency is in the local area and its important to them to maintain a strong market and happy customers in their own back yard. Highly recommended. I have been viewing properties in the Avondale Heights area for several months, and have interacted with David many times. Like the other reviewers, I have found him to be open, helpful, down to earth and honest. He has lived in, and sold property in the Avondale Heights area for many years, and I value dealing with a local who genuinely loves the area. David was a consummate professional right through the process. He is also a very determined, hard working agent, being a breath of fresh air given this industry. He was also honest too which again is a rarity in the real estate game. I would use him again without hesitation and of course I would recommend him. My wife and I purchased our property through David. We found him at all times to be completely professional and helpful through the entire process. A very professional approach but at the same time very personal touch through all dealings. Would highly recommend David whether buying if selling a property. Prior to selling a family property earlier this year we had sold and brought a home on the same day several years ago using David as our agent. He was up front with what we would expect and was well versed on the real estate climate. He never once inflated any prices and was honest when guiding us to the best results. He did what he said he was going to do and did the best for us. We can honestly say we did very well and were very pleasantly surprised with all our results. We have also used them to manage a rental property as well. David made the journey of property selling and buying, from being a monumental task to making it understandable an easy. He knew who to market to and did it well. We would gladly use him again and would not hesitate to recommend him to anyone looking to buy or sell. Thank you David for what you were able to achieve for us this year. My Wife and I had spent the last 6 months looking for a property to buy, and were getting extremely put off by the way the vast majority of agents go about the business. Significant underquoting is rife in the industry, so it was a pleasant change to deal with David. We sent a query on a Monday to see the house. He had a viewing organised for the Saturday, but offered an earlier viewing if it would suit. So we saw the house on the Thursday, arranged a building inspection on a Friday, and 4pm on the Friday afternoon had settled on a price, and signed the contract. The whole process was very efficient, and a big change from just about all of our experiences with other agents. David is one of the best agents. I was amazed by the professionalism Mr. David Gigliotti has demonstrated when I bought the apartment. I can vouch he is a hard working, efficient and well organized agent. I am very pleased how quickly my transaction completed without any hassle. Above all, he considers both buyer's and seller's best interest. What a fantastic experience I had purchasing my second property from David. His knowledge of the area and professionalism makes buying a property a stress free and exciting process. Would not look at using anyone but him when buying or selling a property. What impresses me with David is that he offers opinions based on events influence the market in the area and these opinions can be measured through simple market research. It is refreshing to have an agent who routinely makes contact on a personal level as opposed to blanket emails, this approach I would guess is David's way of building an understanding of one profile in terms of targeting properties that interest each one of his customers. Keep up the good work David. David is a great agent, quick to respond to emails, always answers the phone, does what he says he will and never tells lies like other agents. He is very professional and friendly. Also helped us out post sale in dealing with other issues. Thank you David and the team at Moonee Valley Real Estate. We never expected such a great result. We can only compliment David on his professional approach to the sale of our properties. We would definitely recommend Moonee Valley Real Estate to anyone considering selling property. We would just like to say a big thank you to David and the team at Moonee Valley Real Estate for the great Auction result for our property in Avondale Heights. Our dealings with the David were always professional and we cannot recommend him enough! Not only were the people of MVRE thorough, professional and dedicated, they were steadfastly committed to getting the best price possible for our house. In today's market conditions, I thought we'd have to settle for an ordinary price, but we didn't. We attained an extraordinary price. Moonee Valley Real Estate helped us after we were having no luck selling our property during the tough market season. It only took a very short time to achieve our goal; by the same token, we enjoyed the professional attitude, effective strategy and friendly approach of David. I have no hesitation to recommend David (Moonee Valley Real Estate) to anyone. Thanking you so much for the great Auction result for my property, especially David who handled it with the utmost professionalism in a deflated market! Cannot recommend all the staff at Moonee Valley Real Estate enough!